The maximum rental time of U-bicycle bike is 24 hours. Please lock the bike and deactivate your bike rental within 24 hours of time that rental of the bike began and you may then rent again. The maximum charge for a single trip is $48 for 24 hours. The bike must be locked at the conclusion of the ride. If the bike is not locked, you will continue to be charged until reaching the maximum charge of $48. The bikes which are not returned within 5 days (120 hours) will be considered lost or stolen. You may be charged up to $600 and a police report may be filed. In case that the bike is not lost or stolen, a service fee of $25 may be charged for rentals in excess of 24 hours. If you fail to return the bike to a valid area (i.e. 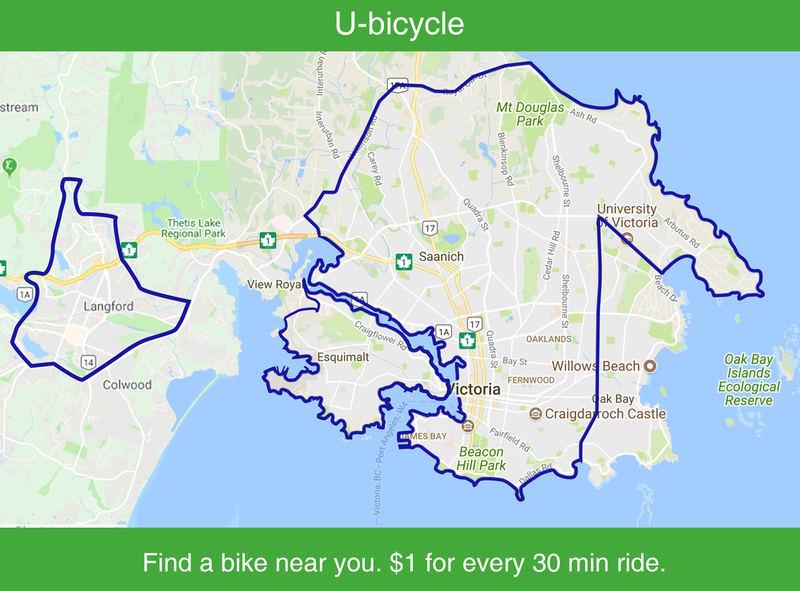 you deactivate the bike on private property, a locked community, or another unreachable area) and request the bike be picked up by U-bicycle staff, you may be charged a pick-up fee up to $200. If any bike accessed under your account is abandoned without notice, you will be responsible for all trip fees occurred until the bike is recovered and deactivated as well as a service charge (up to $100.00) to recover the bike. We highly recommend that you deactivate your rental within our designated service area. Trips concluded outside of our designated service area may result in additional charges. You may be responsible for all trip fees occurred for U-bicycle staff to pick up the bike. Please comply to all applicable laws and ordinances and wear an appropriate protective helmet while you are riding your bikes. For your convenience, U-bicycle will provide one helmet for each bike. Please notice that helmets are only provided for use during the rental period and must be returned at the same time that a trip is concluded. If you do not return a helmet, you may be charged a helmet fee of $50. Failure to wear a helmet while riding may result in fines, tickets, citations, or loss of ridership privileges. At the end of your trip, please make sure you park the bike in a lawful designated parking area. You will be completely responsible for any tickets or fees assessed against you or U-bicycle during your rental period or as a result of the location where you parked the bike. You will also be responsible for all tickets and moving violations incurred during the rental period including those resulting from your failure to wear a helmet. U-bicycle shall be reimbursed for any costs, expenses and/or attorney’s fees for processing, pursuing and/or defending any such claims. * All fees listed in this page are subject to change.